Acar Buahan. 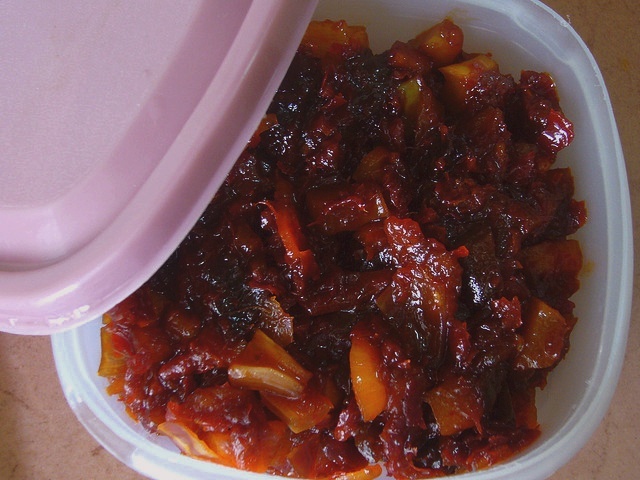 Related recipe – Acar Timun. Heat oil in a wok and fry blended rempah till fragrant and oily. Add sugar and some vinegar. Taste. Simmer for few minutes. Add in all the mixed fruits, pickled chilli padi, pickled lime and mix well. Simmer for 15 minutes. Let it totally cool before storing in an airtight container. Sprinkle some sesame seed before serving Fruits Acar together with Nasi Briani or Nasi Minyak.